Philips has announced two new Ultra HD Blu-ray players offered at very attractive prices. There is the second generation of products after the Philips BDP7501 was launched last year. The higher-end model called the Philips BDP7502 and Philips BDP5502, both allows us to play 4K contents. Both new Philips Ultra HD Blu-ray players support 4K resolution, but the BDP7502 supports both HDR10 and Dolby Vision, while the BDP5502 comes equipped with the same features as the BDP7502 except support for Dolby Vision. The users will be able to play content in HDR10 and Dolby Vision. The 4K Ultra HD Blu ray Player BDP7502 is compatible with HEVC and VP9 decoders that allows us to streaming Ultra HD contents from Netflix and YouTube. As for the audio supports all major Dolby and DTS formats. The connectors include dual HDMI output (a 2.0a HDCP 2.2 and 1.4a to handle the audio), the Wi-Fi 802.11ac, an Ethernet port and a USB port. The Philips BDP7502 price is fixed at $299.99, and will be released in the spring. The Philips BDP5502, on the other hand, one of the affordable True 4K Blu ray Players, priced at $249.99, which slightly lower compared to BDP7502. There is only difference compared to the Philips 4K Blu ray Player BDP7502 model is the absence feature of the Dolby Vision and will also be available in spring. Apart from this, Philips has also launched a set of new flagship TVs at CES 2017, including the 8000 series offers HDR10 and Dolby Vision, will be available in three different screen sizes such as the 65-inch 65PFL8922 priced at $1,700, the 55-inch 55PFL8922 at $1,200, and the 49-inch 49PFL8922 priced at $1,000. The 6000 series also sports Dolby Vision, HDR10, and the BrightPro backlighting will be available in sizes from 43-inch to 86-inch, priced from $650 to $7,000, while the 7000 series with a 98-inch 98PFL7902 screen size will sell for $20,000. Finally, the 5000 series and 4000 series, the 5000 series with 4K and HDR will be available in ranging from 43-inch to 65-inch, and selling from $530 to $1,200. 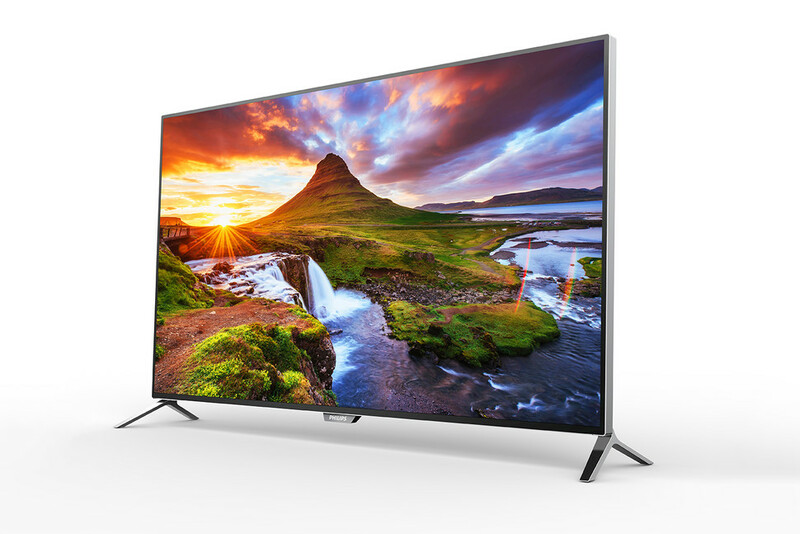 While the 4000 series is similar to Philips NetTV, including the 32-inch 32PFL4902 and 43-inch 43PFL4902 priced at $220 and $370, respectively, and the 40-inch 40PFL4901 and 50-inch 50PFL4901 priced at $330 and $450.